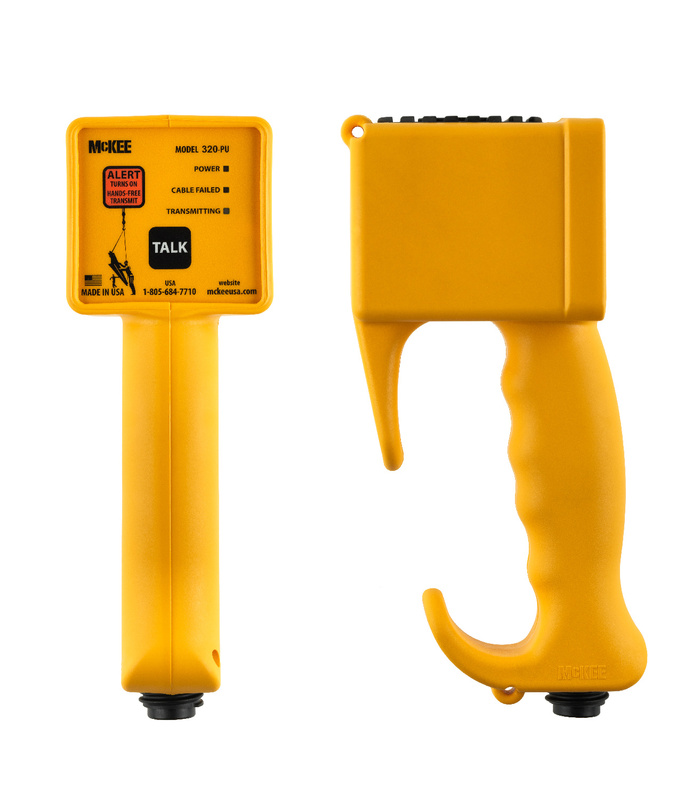 The 320 CraneCom system is a hardwired fail-safe communication system designed specifically for crane operations. It provides a safer working environment for all workers while crane operations are being directed. System consists of a Master Unit and 3 phone units. Each phone unit can have up to 1,000 ft of cable connected. Built using the latest technology, and phone units using high impact nylon plastic materials and the master unit electronics enclosed in heavy duty die-cast aluminum enclosure. 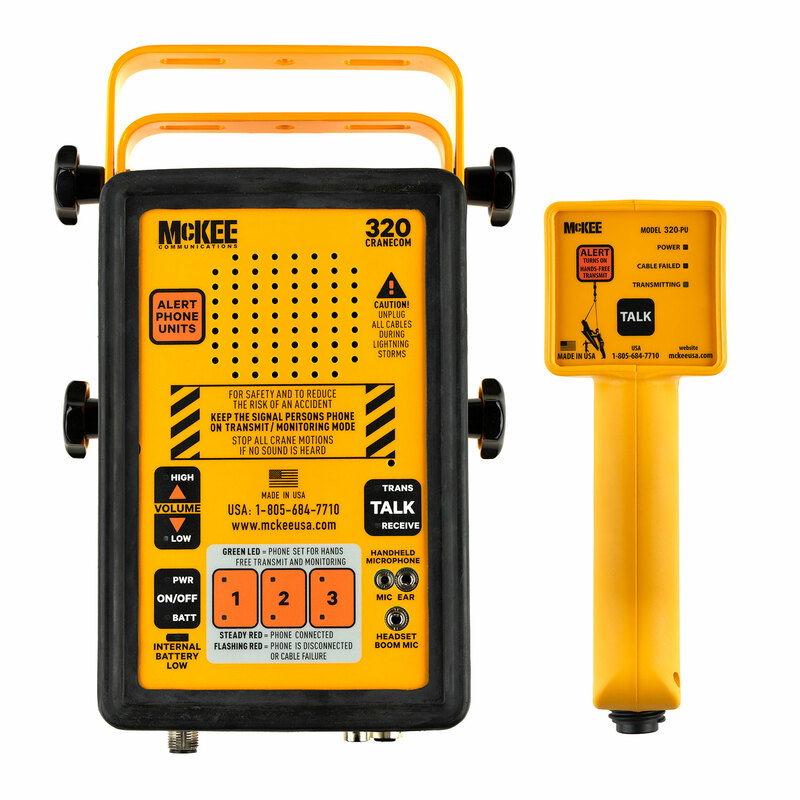 The 320 CraneCom system is a hardwired fail-safe communication system designed specifically for crane operations. It provides a safer working environment for all workers while crane operations are being directed. The system consists of a Master Unit and 3 phone units. Each phone unit can have up to 1,000 ft of cable connections. Built using the latest technology, and phone units using high impact nylon plastic materials and the master unit electronics enclosed in the heavy-duty die-cast aluminum enclosure. The operator controls which phone unit needs to be on monitoring so that he is only listening to the signalman who is giving him instructions, or he can listen to all 3 simultaneously. The Master Unit’s computer controlled warning alarms and backup battery system alert the operator when a phone unit is disconnected, or if the main power source is lost. Now with video to give the operator added information so that he can anticipate and control movements safer and more smoothly. Each phone unit can have up to 1,000 ft of cable connected. Built using the latest technology, and phone units using high impact nylon plastic materials and the master unit electronics enclosed in heavy duty die-cast aluminum enclosure. The Signalman is the eyes and ears of the operator. He is normally in the monitoring mode and therefore can either hold the phone unit, or place nearby and still be heard clearly by the operator. Phone is ergonomically designed to be comfortable hold be hung by the handle hooks.